Calm the storm, get grounded & restore inner peace. Get Grounded & Be Calm with garnet gemstones is a premium, organic botanical balancing blend. 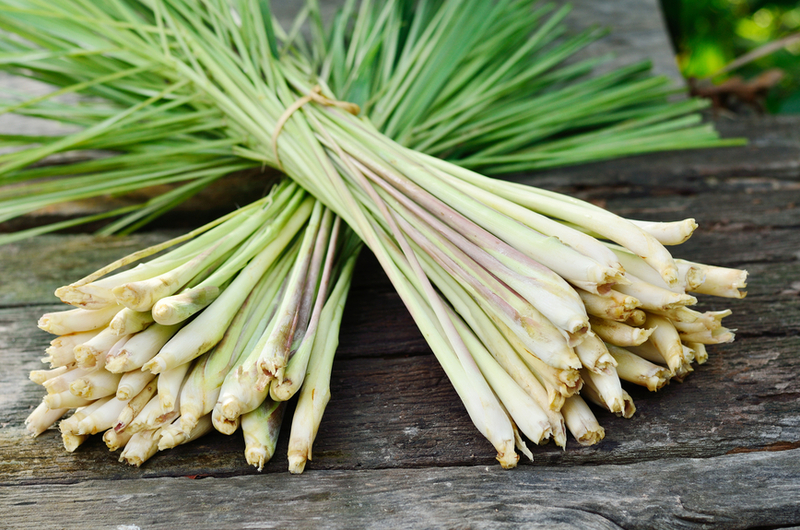 Featuring Lemongrass & Vetiver, the warm, green, fresh, earthy fragrance is very calming, soothing, centering & stabilizing. This is an excellent blend for easing stress, tension and anxiety and it smells amazing. Get Grounded & Be Calm with garnet is a premium organic botanical perfume. Featuring organic Vetiver and wild crafted Lemongrass from Nepal, this perfume has a warm, green, earthy fragrance that is extremely comforting and stabilizing. Get Grounded & Be Calm brings us back to the root of who we are, our true foundation. It returns us to feelings of stability & security. It is designed to ground & center us when we are feeling stressed, overwhelmed, or mentally exhausted. 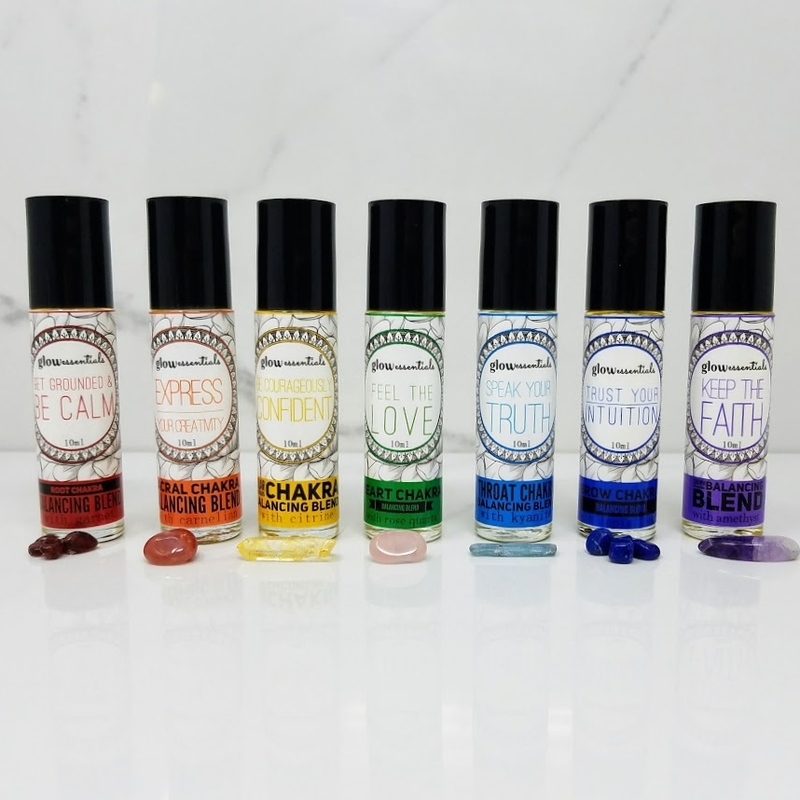 This and all of our balancing blends offer healing properties that synthetic perfumes cannot provide, and they are made with premium organic essential & botanical oils, which work in unison to aroma-therapeutically support the body, mind and spirit. Get Grounded & Be Calm with garnet is especially helpful for those who struggle with fear and anxiety or find it difficult to "go with the flow" in life. This blend is also helpful for those who tend to stress eat in an effort to feel more grounded. Get Grounded & Be Calm can be purchased individually, in a glass 10 ml roll-on for portability and convenience. It is also available in our Balancing Blends Set , our Deluxe Essentials Package and our Custom Essentials Package. 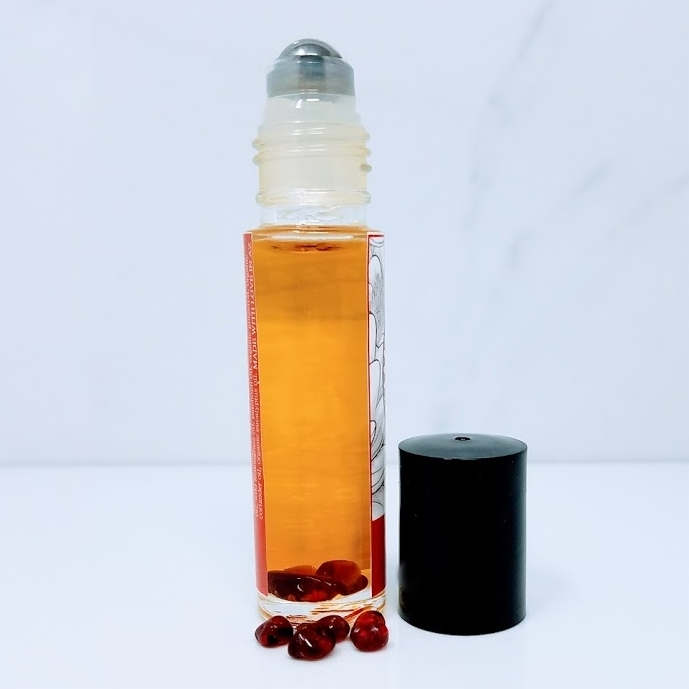 It can be worn by itself, as you would wear any natural botanical perfume, or it can be worn together with our other balancing blends for a beautiful and harmonious effect. Inhale Get Grounded & Be Calm organic botanical balancing blend or apply it directly to pulse points. It is particularly balancing to the root chakra.